We don’t like doing one nighters but once in a while we need to move to what I call “repositioning mode” and it’s such a move that brings us to Tehachapi, CA; just east of and considerably higher in elevation than Bakersfield. The town and campground are in a nice mountain valley. For us it is the reward for pulling 20+ miles up the mountain – climbing from 400 feet to 4000 feet. The campground is on the southern side of town and away from Highway 58 but right by the local airport. In fact, you can walk out to the runway from the campground. There are several gliders parked by the runway and it must be fun watching them fly. This is a nice campground with level, pull through sites, 50 amp electric, and water. There are no sewer hookups, but there is a dump station. There is also a small laundry and clean restrooms with showers. If you are traveling California 58 this is a good spot for a few days. 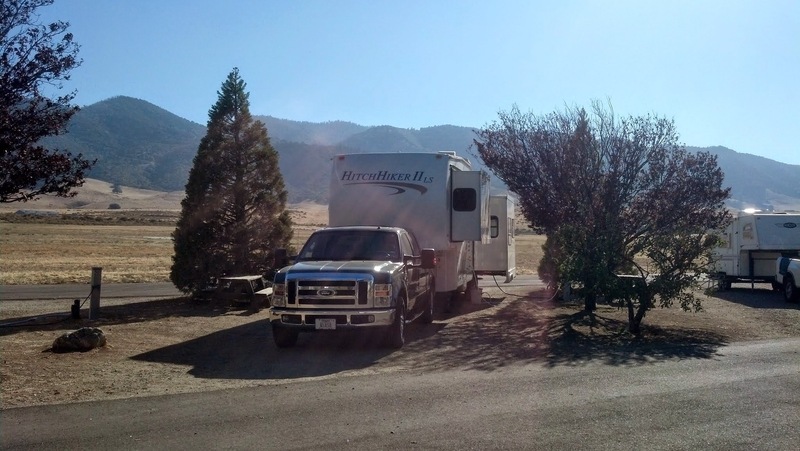 This entry was posted in Scott and tagged California, camping, review, shortstop. Bookmark the permalink.